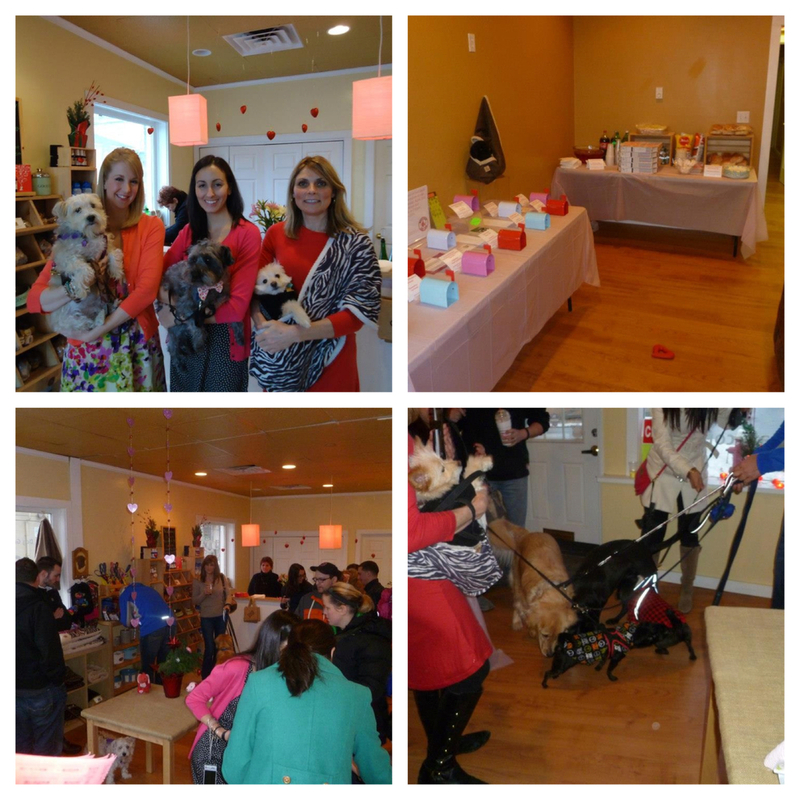 Yesterday was the dailydogblog's second fundraising event and we're proud to say it was a smash hit! We co-hosted the "yappy hour" style event with Michelle Conlan, owner of Go Fetch!, a local dog groomer and dog product retailer. For just $15, participants enjoyed wine and a variety of non-alcoholic drinks, including the dailydogblog's famous "Four Paws Punch." Guests also got to choose from pizza donated by Domino's, sandwiches donated by Giammalvo's Market and were welcome to helpings of sides like potato salad and chips. And to top it off, delicious chocolate chip cookies and two types of brownies were available for dessert. All proceeds from the event will be delivered to Forever Paws Animal Shelter in Fall River, MA, as they are our area's no-kill, non-profit shelter. Our raffle was another highlight of the evening. With 12 fantastic raffle items to choose from, Paws for Love participants could purchase raffle tickets for $1 each or 15 tickets for $10. Some of the most popular raffle items were a 1-month unlimited membership to Hope Yoga Studio and a pair of Red Sox tickets for an April game. A great mix of dogs socialized during the event - from a tiny terrier to a boisterous Golden Retriever, every dog seemed to enjoy the opportunity to play with other pups and get plenty of belly rubs from new humans. We're still tallying up donation totals and organizing photos, but we'll be sure to share details from the event this week. Thank you to everyone who shared in the fun of our Paws for Love event and for helping support Forever Paws Animal Shelter!